It’s easy to get lost, as I managed to do last summer when I rented a tandem bike with my girlfriend and made the fatal error of letting her lead the way. When we came to the conclusion that neither of us had any idea where we were going, I picked a direction and peddled like a madman to get us back to the rental office before it closed. Despite giving it my all we arrived a few minutes late and had to forfeit the deposit for the bike. 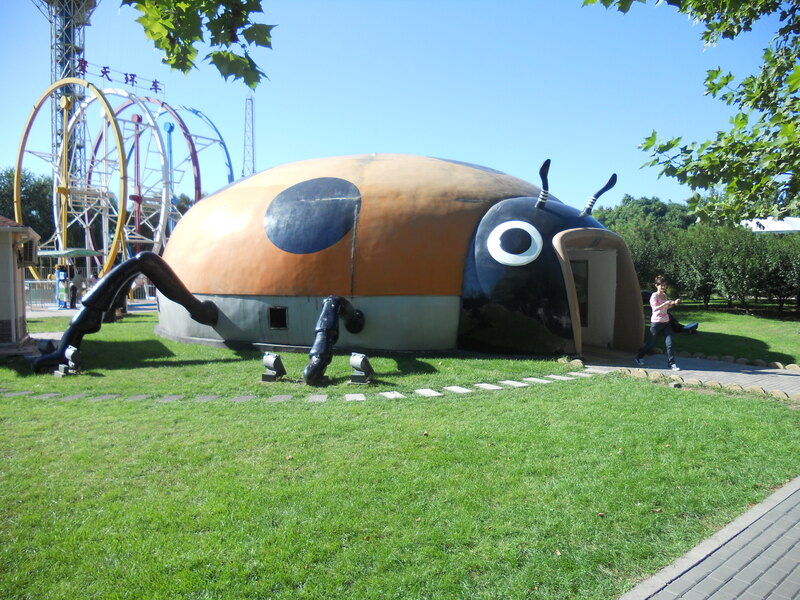 While Chaoyang Park has a carnival atmosphere and large area dedicated to sports, many of Beijing’s parks have historical significance. Two of the more well-known ones are the Summer Palace and Old Summer Palace. They were built for emperors as their personal recreation areas. Both are impressive for their size and large lakes. The Summer Palace was heavily damaged in 1860 during the Anglo-French invasion but was later restored. Many of its most prominent structures are still intact. The Old Summer Palace was also attacked in 1860, by British and French troops, but all that remains today are ruins. 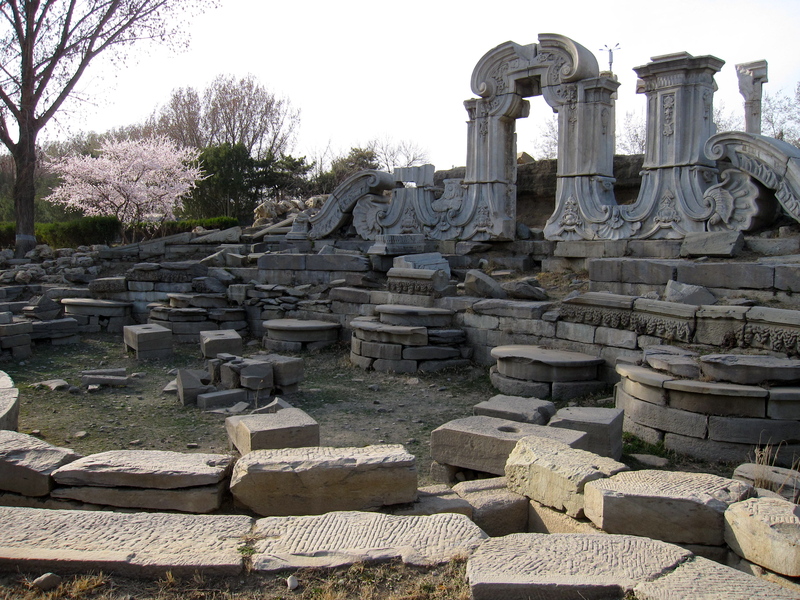 Some of the better preserved ruins at the Old Summer Palace. 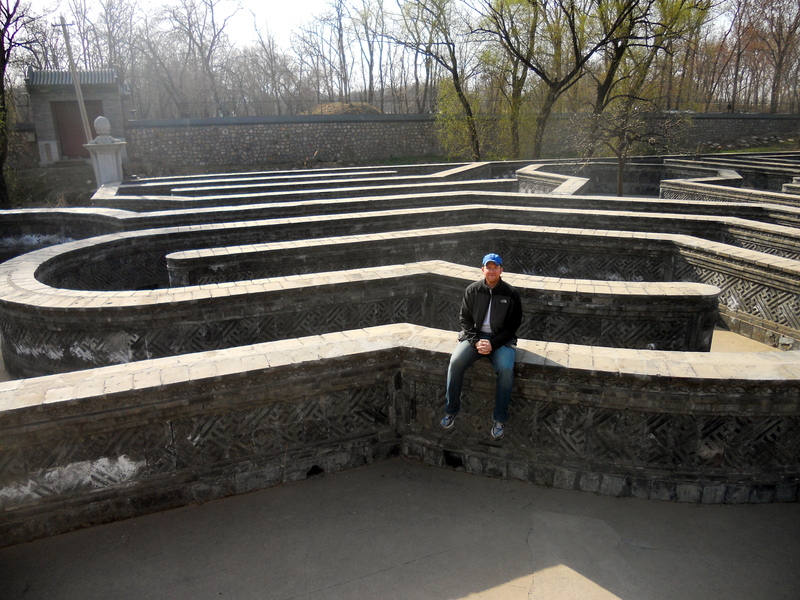 This maze inside the Old Summer Palace led to a fountain. 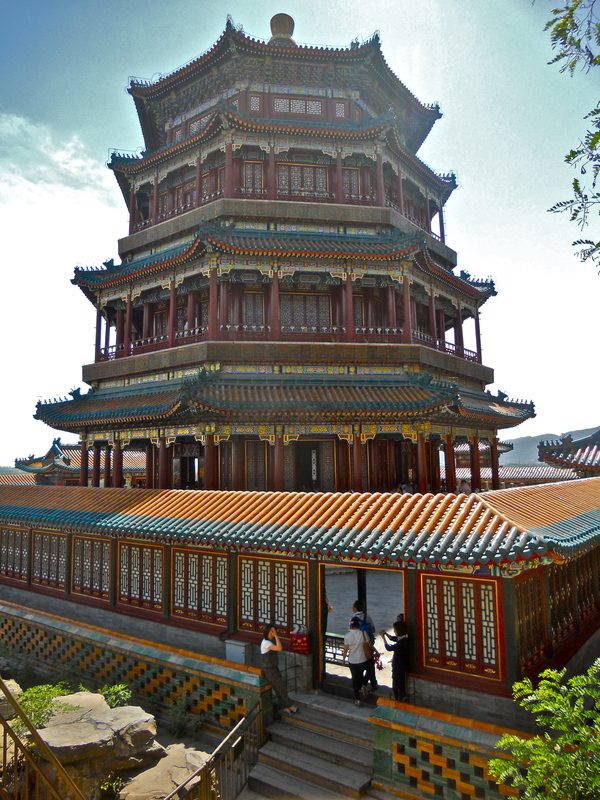 The Tower of Buddhist Incense at the Summer Palace. 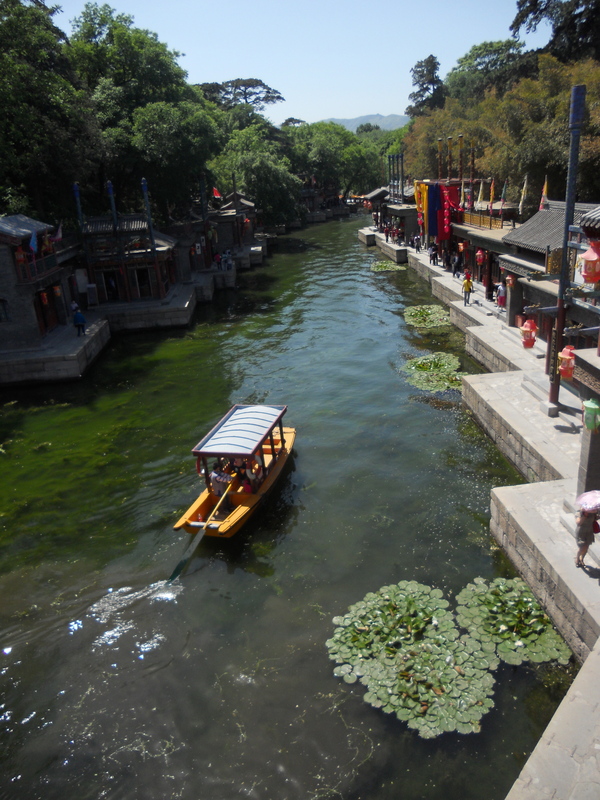 A canal near one of the entrances to the Summer Palace. While the palaces were once only accessible to the emperor and his court, they now are a part of Beijing’s park system. The Summer Palace is one of the city’s top tourism sites and draws visitors year-round. A much quieter park – The Yuan Dynasty Capital City Wall Site Park – lies within a 10-minute walk of my apartment. 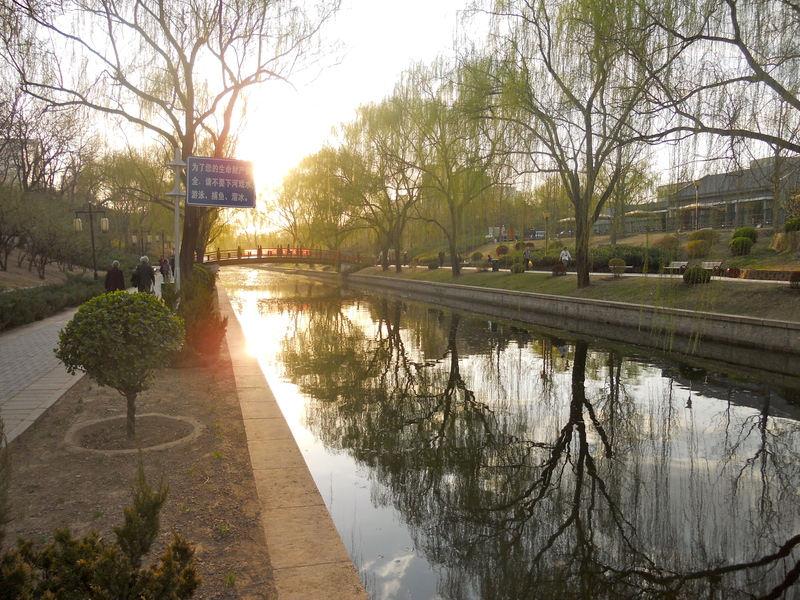 The park runs along a canal and gets its name from a 10-meter high wall, built between 1267 and 1276, that formed part of the city wall during the Yuan Dynasty. All that remains of it today is a dirt mound. The canal reeks of sewage in the summer, but people still crowd around the edges to fish. The area above the water is much more pleasant, and on warm spring afternoons men gather on benches to play cards, while women push their babies in strollers under a canopy of weeping willow trees and pink blossoms. I go there to jog a couple times a week, and along my route I often pass groups practicing tai chi, playing traditional Chinese string instruments and writing characters on the concrete using large brushes dipped in water. It’s serene, and one of the few places that, if only for an instant, reminds me of the quiet open spaces of home. 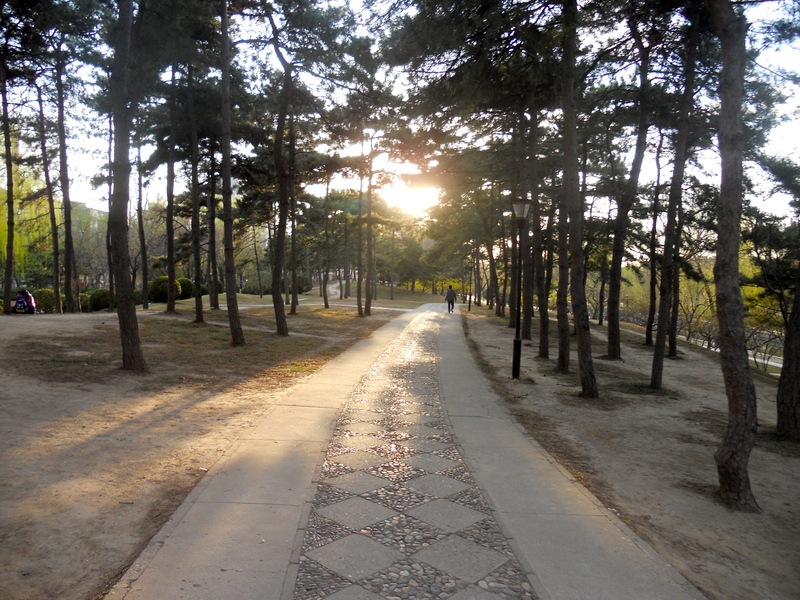 One of the many trails at The Yuan Dynasty Capital City Wall Site Park. 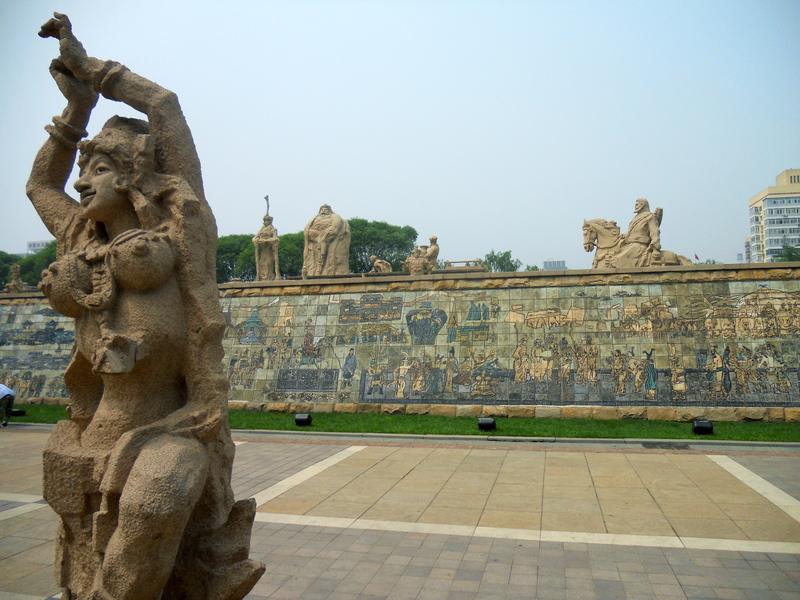 Statues at The Yuan Dynasty Capital City Wall Site Park. 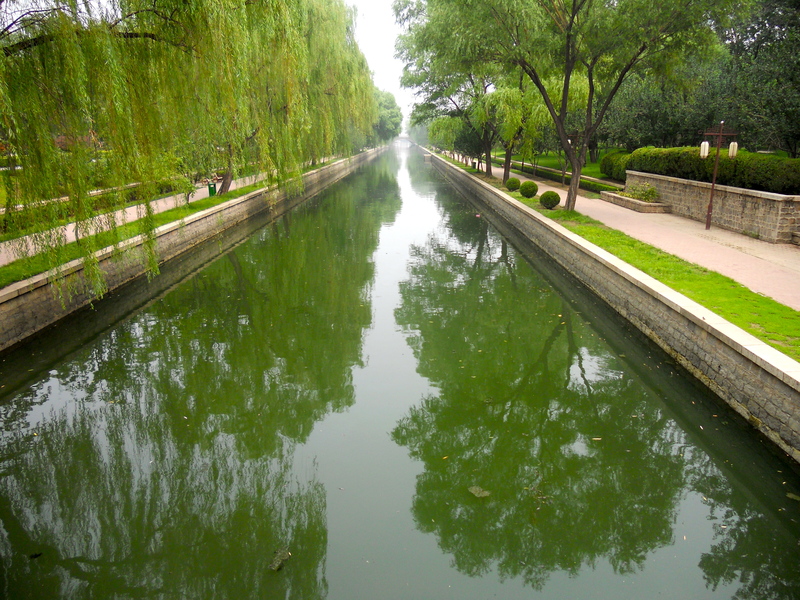 View of the canal from one of the many bridges inside The Yuan Dynasty Capital City Wall Site Park. This canal is very scenic but reeks of sewage in the summer. Nice pictures! I love finding parks as a respite from the busy streets of any city in the world! Great photos! I go nuts over the traditional architecture found in temples and palaces. Thanks for the props, and nice pictures! It’s always nice to feel some solidarity when complaining about Beijing/China travel.